Outras informaçőes The quick progress in vehicle technology with its growing range of facilities and safety functions surely needs good diagnostic systems. 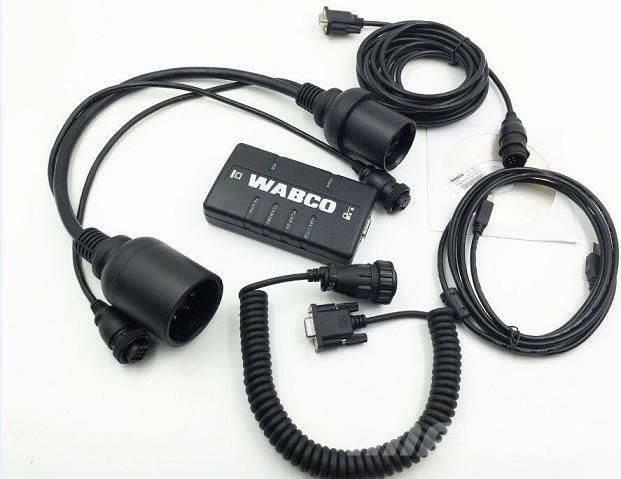 WABCO offers a growing range of Diagnostic Software. The excellent possibilities of using images of the PCs/Notebooks helps to understand the Diagnostic Software. Thanks to the repair information in great detail and circuit diagrams with measured values diagnosis and repair is getting easier and faster. For the visualisation of the Diagnostic Sofware you see in the following excerpts from the software for the ECAS truck system. WABCO System Diagnostics (SD) consists of a range of Windows based software solutions, plus all the hardware necessary to carry out diagnostic work on every WABCO system – such as EBS, ECAS, ACC. WABCO SD software is available for every WABCO-produced component needing diagnosis, both as a single download or as separate Bus, Truck and Trailer packages. The programs are available in up to16 different languages.